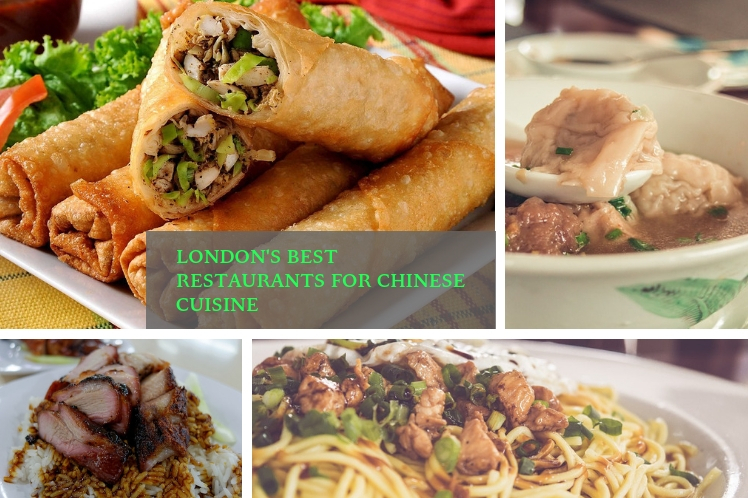 London is a great place to find all kinds of ethnic food, especially Chinese. There are a vast number of Chinese restaurants in London, selling food based on the Chinese regional areas. Choosing between them can be hard, so we take a look at some of the best in central London. Many of the restaurants are found around Soho, as this has traditionally been Chinatown. Besides Chinese cuisine, if you are looking for authentic with numerous flavors then you can also try Malaysian food for which you can search for best Malaysian restaurant in London where you will be served delicious Malaysian dishes with an authentic taste. If you like meat dishes, then head for Four Seasons in Gerrard Street. This restaurant has plenty to offer in terms of meat cookery such as Siew Yoke (crispy belly pork) crispy duck, and char siu (barbequed pork). The hardest part is choosing what to eat from their vast menu as it is over 20 pages long! The Duck & Rice in Berwick Street is one of the most trendy Chinese restaurants in London. It is a great combination of a pub and restaurant. This is where you can enjoy a drink of freshly brewed beer sourced from the massive copper tanks that line the walls while a resident at Park City Grand Plaza Kensington hotel. Alternatively, try one of their innovative beer-based cocktails. For those who just want a snack, dim sum with flavours such as venison puffs and scallop shumai are a good choice, while for those who want a more filling meal there is plenty to choose from including sesame prawn toast and chicken in black bean sauce. Dim Sum also dominates the food offering at Royal China in Baker Street, a little further north outside Soho. Royal China is definitely the place to go, as it specializes in the creation of dim sum. The tiny parcels are made daily by specialist chefs. Service is quick, so you never have long to wait for your food. If you are a foodie, then you can search for best street food markets and places in London where you will get good quality street food of different culture. If you are really hungry, then a good place to try is Hunan in Pimlico Road, Belgravia. The staff is very keen to make sure that everything is just as you want to be prepared to answer a lot of questions the moment you enter the restaurant. They often ask just how hungry you are, how spicy you like your food, whether there is anything you cannot or prefer not to eat. Having made your choice from the menu, sit back and feast like an emperor. Wave after wave of dishes are brought to your table, with each portion getting steadily larger. If you are really hungry, it can result in up to 18 dishes! So what kind of food is on offer? Much of the menu is based on Hunan style food but can include influences from other regions such as sea bass with ginger and spicy onions or a peppery & sour Sichuan cucumber salad.